The holiday season has commenced, and we kick it off with All Hallows Eve, otherwise known as Halloween. It’s a time for treats, costumes, and a good time for all, including your four-legged furry friends. After all, our dogs are part of the family, and they deserve a little fun. Here are some tips for how to include your pup in on the celebrations. Dressing your fur baby up for Halloween doesn’t have to break the bank or take too much effort. 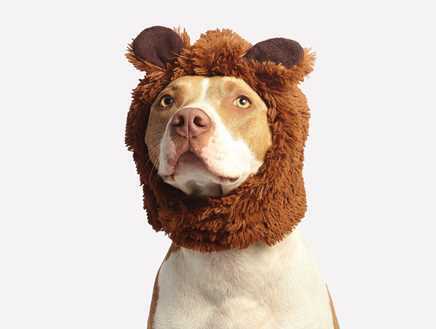 The market is flooded with adorable pre-made costumes that you can match to your dog’s personality, your favorite characters, something humorous, or simply something that you find too great to pass up. If you’re looking to save some money or personalize your dog’s holiday experience, make your own costume with materials from home or readily available at a low cost. Your dog’s costume should be both cute and safe. Some dogs do not mind costumes, while others cannot stand the weight. Make sure your pet is comfortable and unrestricted. Be sure to check the costume to ensure no parts can be a choking hazard if inhaled, could prevent the flow of breathing, or limit their movement. Have fun and be creative, but be practical as well. If you want to take your pet trick-or-treating with you or to some other Halloween celebration, make sure your pup’s costume is fit for the job. If you will be walking around at night, make your pet is visible by adding some reflective tape or clipping on blinking lights to your dog’s costume so they can be seen by drivers. This is the perfect time to re-evaluate whether you have the right gear for your pet. You’ll want to have a proper sturdy leash, measuring four to eight inches in length, and depending on your dog, a collar or harness. With the right gear, you can rest easy knowing you have adequate control over your pup as they enjoy a safe stroll. Like a child, dogs are notorious for getting into things. They are known to chew on or eat whatever is in front of them. Halloween presents additional risks for your pets, particularly when it comes to them ingesting something that can harm them or even prove to be lethal. Keep the candies out of your dog’s reach by placing them up high and far back. Keep glow sticks, pumpkins, corn, candles, and batteries away from your dog. If they are going to be around harmful objects, make sure to keep a close eye on them at all times. Can We See Some Identification? While Halloween is fun and exciting, there is a lot of activity, doors opening and closing consistently, a lot of people around, and noise. The hustle and bustle of the festivities presents some opportunities for your dog to run off. If your dog will be wearing a costume, make sure their ID is current and located visibly. Prior to the big day, check your pet’s chips to ensure they are up to date. If you plan to take your dog trick-or-treating, take them on a walk on the route you plan to take so that they are familiar with their surroundings and become less spooked. The whole family deserves to enjoy a fun and safe Halloween. Including your pet in on the fun is a wonderful idea, but you should take precautions. After you find the right costume, make sure it is safe. Take some extra measures to ensure you have all you need for a safe walk with your dog and to prevent them from getting into something harmful. Also, make sure they have the proper identification. With the right preparation, you’ll enjoy a safe, fun and happy Howloween!